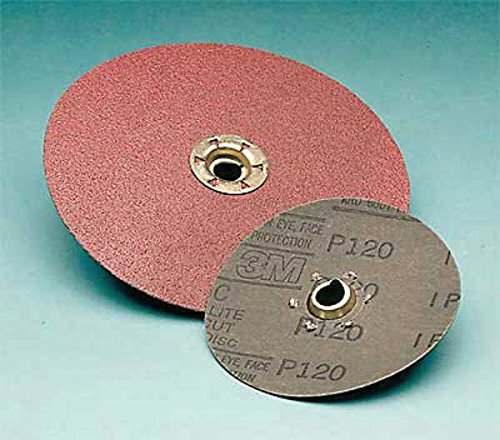 3M Cubitron coated 983C quick change disc uses ceramic as the abrasive material and has a diameter of 7 in. 3M incorporates this ceramic material into the quick change disc forming a grit of 50. All abrasive products that rotate or spin, such as the ones in this category, have a maximum speed at which you can run them. This 3M quick change disc can be run at a maximum speed of 8600.